Our barbershop offers a range of contemporary and traditional grooming services for gentlemen; clipper cuts, sleek, on-trend scissor cuts, traditional wet towel shaves, a professional colour selection and now we include complimentary brow & nose waxing. 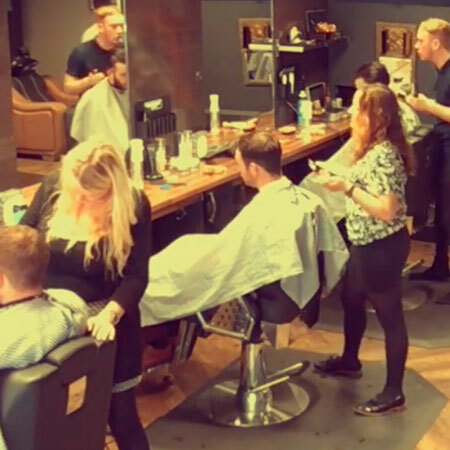 Curley’s Urbane Barbers have created a relaxed, friendly atmosphere with expert barbers on hand and equipped to give you a fuss free styling experience. Hair trends never stop changing and we never stop pushing to achieve our best. Our barbers have undertaken advanced training with Menspire, Sid Sottung and most recently, Alan Beak to ensure we can provide each client with expert advice and styling. Treat someone special to a gift voucher that can be used in store. Distorter Professional Hair Clay is an elite,styling product that creates texture with a supple finish. Hand-made using only the purest of ingredients and the finest sourced Sandalwood essential oil. Grape Wood beard oil, handmade using the best sourced ingredients. As well as a strong hold, Osis Freeze Strong Hold Hairspray will protect your hair against humidity and heat, so perfect for all weather conditions. Osis Freeze Strong Hold Hairspray is an ultra-fine spray mist that drys super fast, is non-sticky and leaves your hair looking natural. 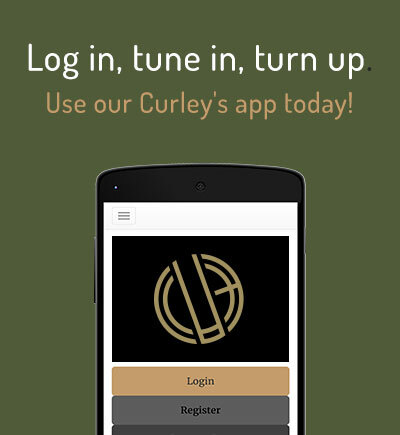 Please login/register to our Queueing App. "Seriously good wet shave this pm. World class. "Got a sharp haircut yesterday from Curley’s Barbers in Shawlands. Great service and cool atmosphere. "Gilday Curley’s Barbers, funky barbershop in Shawlands. Great for hot towel shaves & haircuts"